JUVENTUS has been beaten at home for the first time in two years in all competitions. The reigning Serie A champion lost 2-1 to Lazio after Paulo Dybala spurned the chance to keep up the unbeaten record after missing a stoppage-time penalty. 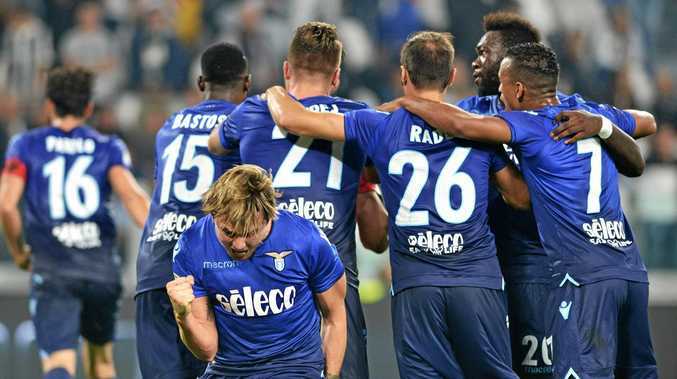 Ciro Immobile scored twice early in the second half for Lazio, the second goal a penalty, after Douglas Costa had given the champions a half-time lead. Juve's last home defeat was against Udinese in August, 2015 and the unbeaten record at their own stadium lasted for 57 matches, including 41 in Serie A.
Napoli now has a five-point lead over Juventus after a Lorenzo Insigne goal was enough for a 1-0 win at AS Roma.